Climbing Ben Nevis, Scafell Pike and Snowdon in 24 hours is certainly not a straightforward proposition, so to help you out we have created a 12 week training plan. 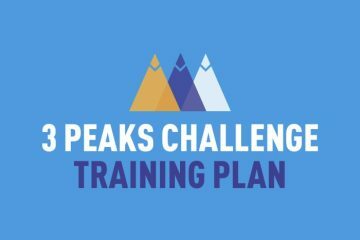 The training schedule has been put together by students studying the BSc Personal Training course at the University of Wales Trinity Saint David. 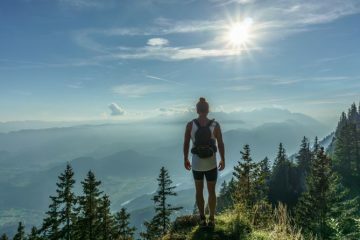 It has been developed to ensure anyone can take part with just your own bodyweight and everyday items. If you want a more detailed explanation of the theory behind the plan, head to week one. 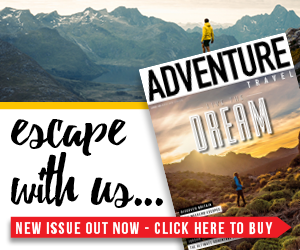 When taking part in this plan, it is also worth remembering that what you find below is simply a guide, so you can alter it to work with your own personal lifestyle requirements. 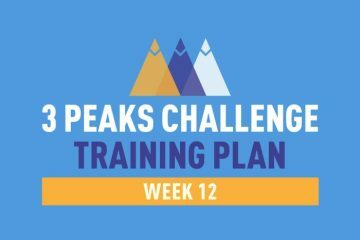 Without further ado, here is all the information you will need to complete week 10 of the Three Peaks Challenge training plan. Before the event, have a large meal to get all your calories in. Consuming sufficient amounts of carbohydrates two-three days prior to the event will ensure you will increase the amount of glycogen stored in the body. This will help provide longer lasting energy throughout the challenge. Eat small and frequent meals to aid with muscle recovery throughout the day. It’s essential to have healthy food full of slow release carbohydrates and protein rather than a quick source of energy (sweets). An example for healthy snacks throughout the day would be pasta, nuts, raisins, sandwiches. Adventure Travel’s Three Peaks Challenge training plan is designed by students from the BSc Personal Training course at the University of Wales Trinity Saint David. You can find out more about the course by following this link.